ACT NOW.. RETIRED OWNERS COMMITTED ELSEWHERE !! THEIR HOME MUST SELL NOW !! BRIBIE ISLAND BASED OWNERS REALISING PROPERTY PORTFOLIO & WANT TO SELL…The owners of this mid-century beauty need it moved quickly before Xmas.This could be your best present ever as their loss will be your gain just prior to Christmas…. Bring all offers in writing as they need to liquidate today. Positioned in sought-after ‘Depper Street’, there are options galore! 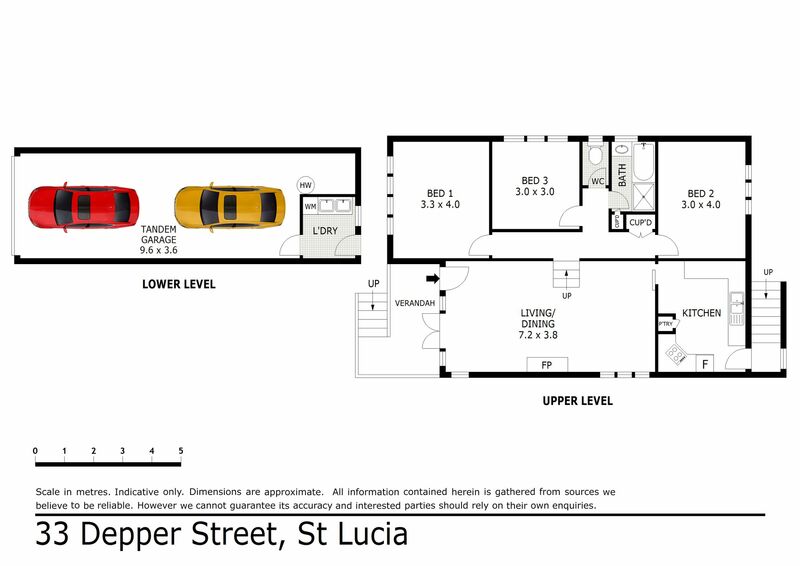 If you’re looking for a great entry point into the St Lucia market, HERE IS YOUR CHANCE! Rich timber floors, quality leafy position, built in fire place..AND LOADS MORE! Whether you’re building your next home or looking for an investment where you can add value – this quality post war residence c1950/60s, in blue-chip St Lucia, is the perfect place for you. The potential here will allow for your property dreams to be realised. Whether you wish to stamp your own personality on the home or perhaps add additional bedrooms, renovate and extend the existing residence! For the long term players who might have their own architectural plans, removal of the existing residence is possible to make way for your dream home. Please note all of these suggestions could be subject to council approval (STCA). Upon entry the interiors are light-filled and the home benefits from a split level design. The rich timber floors fill the spacious living/dining area that is complimented by a built-in fire place. With its own kitchen and separate bathroom, it could be a great retreat for a young professional couple or perhaps your son or daughter are about to commence their studies at The University of Queensland. The transport options are incredibly convenient with bus stops just 140m away on Carmody Road taking you in all directions and Guyatt Park City Cat service only 370m away. This superb setting is within easy access to The University of Queensland which is just a three minute drive away. Located in the iconic Ironside State School catchment area. Major shopping hubs, Toowong Village and Indooroopiilly Shopping Centre are close by and you can access these hotspots via bus stops along Sir Fred Schonell Drive and Carmody Road. Popular restaurants and cafe precincts are also within easy reach to compliment your lifestyle. Inspect this entry-level St Lucia home today – prime opportunities like this are rare!